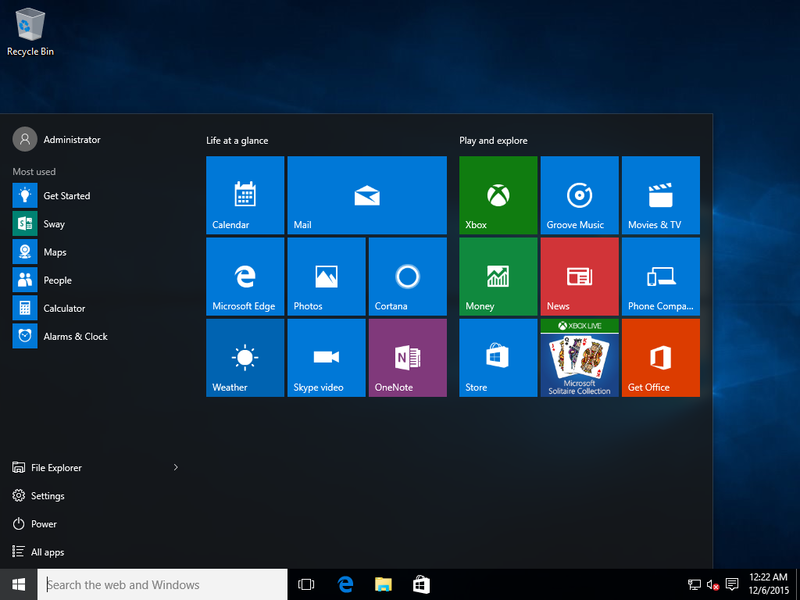 I’m going to spend my next few posts discussing Windows 10 Start and related stuff. 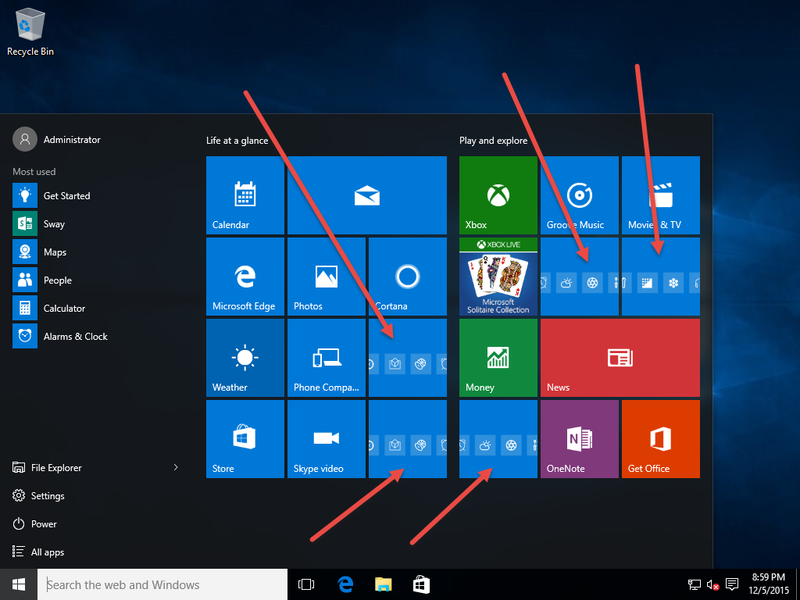 When deploying Windows 10 1511 (confirmed in Pro and Enterprise Editions), the default Start (Menu / Screen / Page) gets configured with some odd tiles. 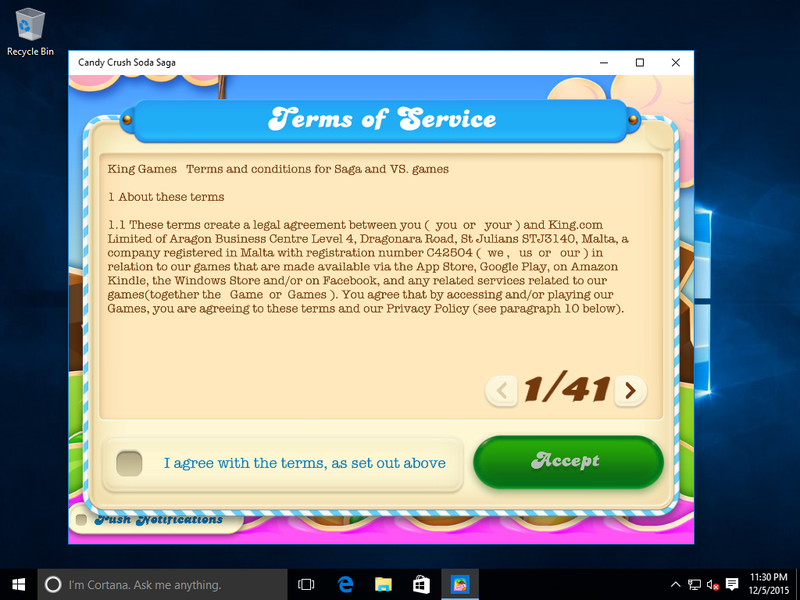 Funny thing is that Windows 10 1511 includes a new feature called “Microsoft Consumer Experiences”. The great Michael Niehaus has a writeup on how to turn them off. This post won’t tell you anything different, but what I will do is explain what happens. I can run an export of the Start Layout using PowerShell Export-StartLayout and see that these are Secondary Tiles from Microsoft.Windows.ContentDeliveryManager. 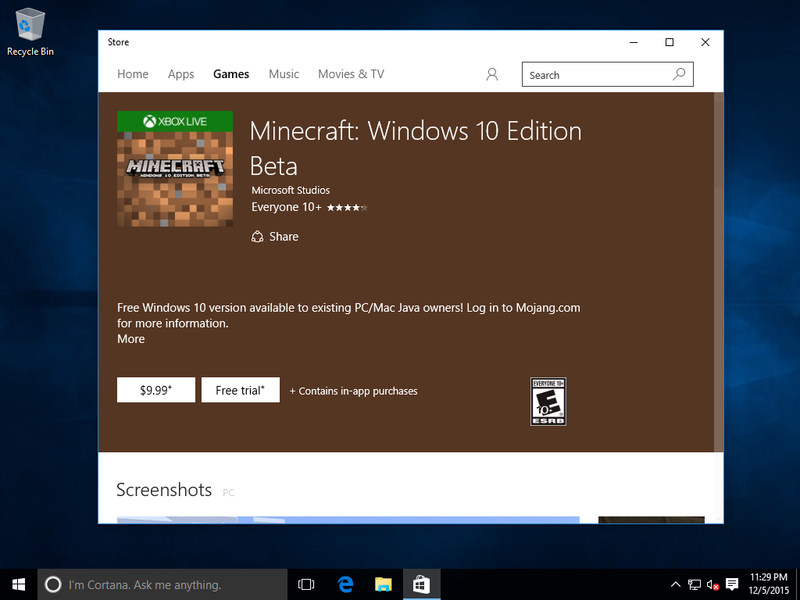 Ok, so Microsoft Store installed Candy Crush Soda Saga, but only gave me a link to Minecraft. Dear Microsoft, here is my feedback. Do this for Home Editions, but give Pro and Enterprise Editions a little more respect (and heads up) before doing this. Since build 1511 is considered CB – Current Branch (1507 July 2015 release is considered CBB – Current Branch for Business), I cannot recommend that any Enterprise deploying Windows 10 put User systems on CB, otherwise you would have found out this change too late. So let’s look at how to turn this off . 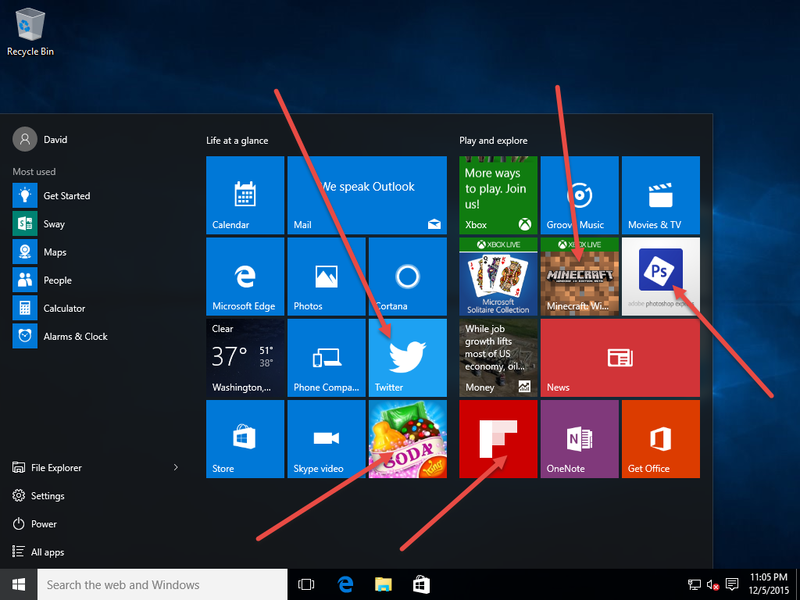 . .
Windows 10 1511 includes a new Group Policy Setting to handle this. 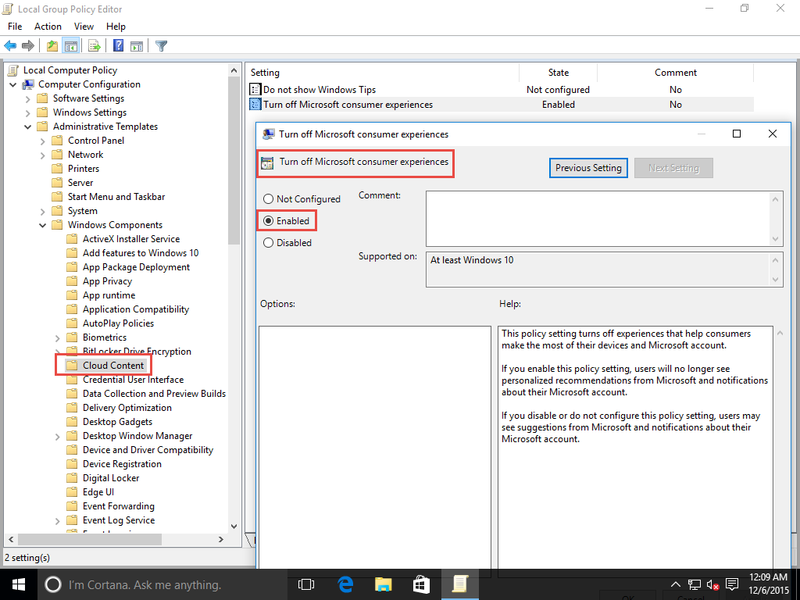 In Computer Configuration \ Administrative Templates \ Windows Components \ Cloud Content, set the Turn off Microsoft consumer experiences to Enabled. If you are making this change in Active Directory Group Policy, make sure you have the ADMX 1511 Templates installed. This can also be set in the Registry, placed in the Unattend.xml, or MDM (Intune). If you are using OSConfig, this will be updated in the next day or two to Enable this setting automatically by default. There is no reason this setting should be Enabled by default for Enterprise Windows 10 deployments. This bit us hard! The “Consumerization” of the Enterprise OS needs to stop. 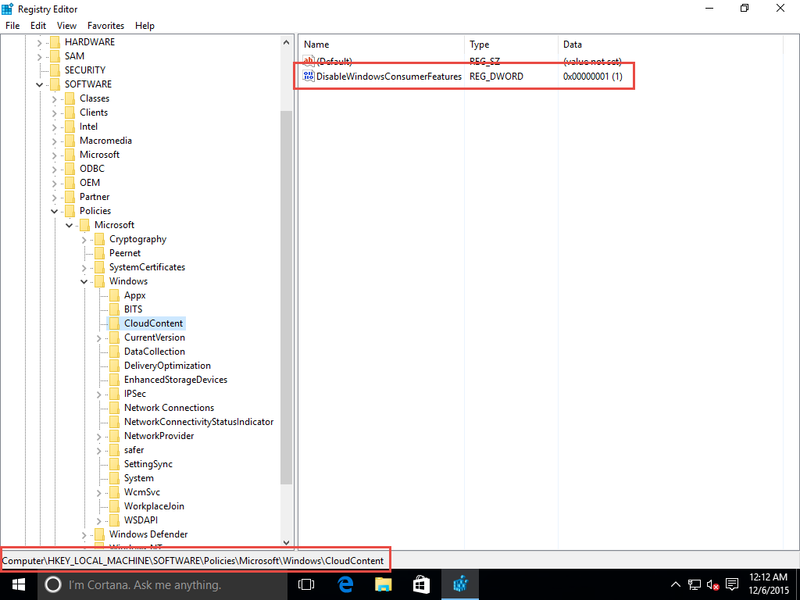 I’m finding more bloatware in a vanilla Windows 10 Enterprise Vanilla build than I ever did from a hardware OEM. Much obliged! Merci Beaucoup, this was exactly what I was looking for our work PCs for our domain users. Sadly this GPO setting is now removed from Windows “Professional”, having paid a premium for that version for years.